It came as quite a shock when Breaking Bad fans learned that they would be gaining a new spinoff series based on Walter White's lawyer Saul Goodman due to the show's popularity, and it was probably even more shocking to later hear that both Aaron Paul and Bryan Cranston wanted in on the show — even though the show, aptly titled Better Caul Saul, was supposed to be a prequel. 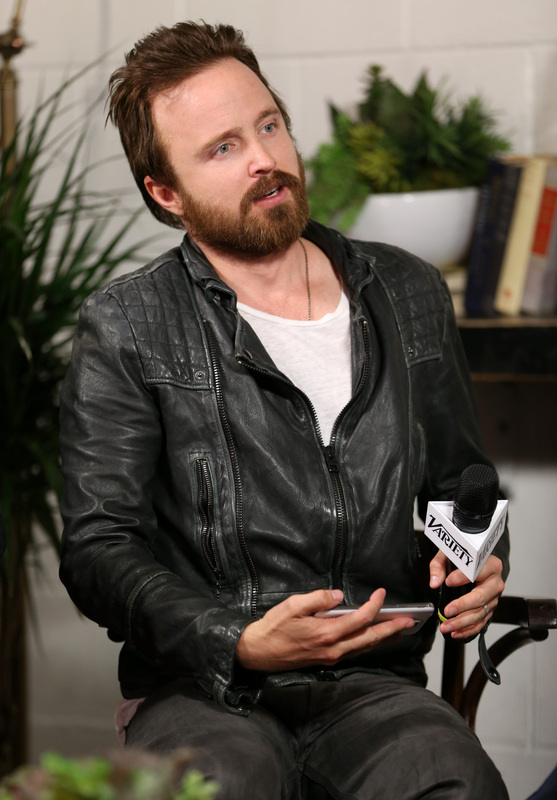 Now, however, comes the most shocking news of all: in a new interview, Aaron Paul revealed he doubts we'll see Jesse Pinkman on Better Call Saul . To be fair: Like it's predecessor, Better Call Saul (which will revolve around Saul Goodman before he ever met Walter White) has never sounded like a show that would benefit from shock casting like that. How would it make sense that Walter and Jesse could be in a scene if, in the timeline of the series, Walter is still cancer-free, happily married, and a law-abiding citizen, while Jesse is still cooking meth by himself without Walter's help? Sure, they could be in the background of a scene, but that would be a waste of Paul and Cranston's time and talent, as well as just excessive attention-grabbing efforts on AMC's part. So, it makes sense that Paul wouldn't be confident that he'll be in the show — as sad as it is to think that we really have seen the last of Jesse Pinkman, it's best for the legacy of the show. To be honest, Cranston, he just loves to mess with people. Who knows? Let’s be honest. I don’t think we’re going to see anymore Breaking Bad. But I hope that we might be able to play our characters again in Better Call Saul. But that’s not solidified. It’s not set in stone. There’s no plan of Jesse or Walt making an appearance in the first season of Better Call Saul. Though Paul did mention how he still hopes there’s a possibility of being in future seasons of the spinoff, he once again dismissed the idea. We can all continue to secretly pray next to the Breaking Bad shrines in our closets and confide in our chemistry teachers about how sad we are, but, with Paul appearing to be so unconvinced now, it seems improbable that we’ll see him on the show. Then again, maybe he’s just that good of an actor that he’ll wow us all.